Notice: The copyright law of the United States (Title 17 U.S. Code) governs the making of photocopies or other reproductions of copyrighted material. The person reproducing the material is liable for any infringement. Adhere to the "Fair Use" Guidelines posted in each print/copy area. Three print /copy stations are located on the 2nd floor of Coleman Library. One print /copy station is located in the Office of Instructional Technology, Room 104 of Coleman. Kiosks to create or add money to your account are located at the Coleman Library, the Office of Instructional Technology, and at each branch library. Accounts can be created using either your Rattler Card, or, by entering another unique ID. Kiosks accept cash in $1, 5, 10, and 20 denominations. No coins, debit, or credit cards are accepted. Visitors can print or copy by creating an account at any of the kiosks. From your library computer, select the Print command. 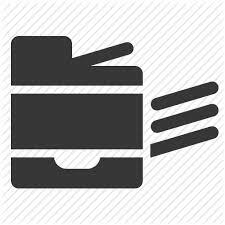 For Black & White, 8.5 x 11 printing, leave the default printer setting. For more print options, view the drop down menu for options in size, color, and 2-sided printing. Enter your print name and password. Login with your account information, selet Print Jobs, choose your job and Print. Jobs in queue will be deleted after 2 hours. No refunds are given for unused balances. Refunds are given if the printer kiosk accepted your funds and did not credit your account. Cash refunds can be picked up from the Library’s Administration office, Monday – Friday, 8 am to 5 pm, or in the summer, Monday - Thursday. Your Word file contained 3 pages, but you only had text on the first two. The last, blank page is the users responsibility. The user selects the incorrect paper size.